Major philanthropic gifts making a big difference. 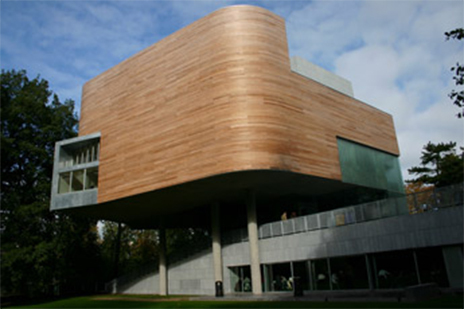 The award winning Lewis Glucksman Gallery in Cork. Over the past two decades, Business to Arts has helped increase support for the arts and cultural sector by forming strategic partnerships and undertaking reforms to build greater community and business engagement, philanthropy and corporate social responsibility. In 2009, a new initiative, New Stream, which is supported by Bank of America Merrill Lynch and the Department of Arts, Heritage & the Gaeltacht, was launched to increase the capacity for fundraising in the arts sector in Ireland. New Stream has since played a leadership role in providing the arts and cultural sector with skills and resources to confidently engage with private funders and to diversify funding sources for greater sustainability. Today, individuals and philanthropic trusts/foundations recognise that the arts are capable of addressing a vast number of social and community needs including at-risk youth, health and education. However, much more can still be done and Business to Arts remains committed to helping artists, arts organisations and the philanthropic and business sectors to unlock this capacity and forge a stronger community of arts philanthropists. Our team has extensive experience in fields such as fundraising, marketing, finance and arts management, philanthropy and charitable giving. Read our advice on Making a Major Gift.